A sleek profile and clean track arms give this chair its distinct contemporary feel. 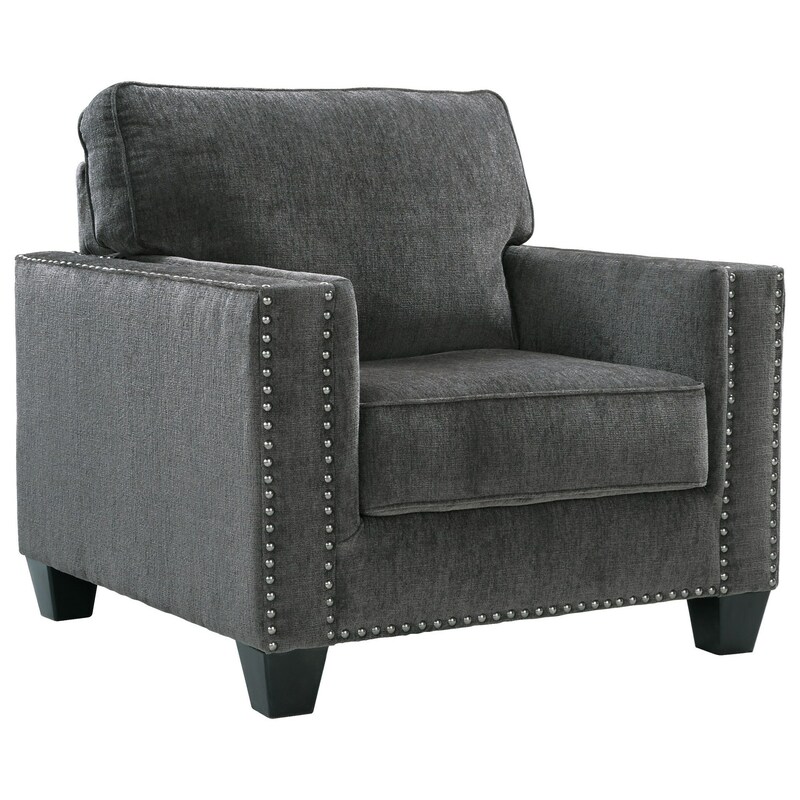 Nailhead detailing on the front of this piece supplies a touch of flair, making it just the right mix of sophisticated and flashy. The Gavril Contemporary Chair with Nailhead Trim by Benchcraft at Michael's Furniture Warehouse in the San Fernando & Los Angeles area. Product availability may vary. Contact us for the most current availability on this product. The Gavril collection is a great option if you are looking for Contemporary furniture in the San Fernando & Los Angeles area. Browse other items in the Gavril collection from Michael's Furniture Warehouse in the San Fernando & Los Angeles area.